We have also added the Core topic Modules lectures in mp3 format and the workbooks where applicable, for the Level 3 and above. These sections are however password protected and you shall need to be a staff member or a registered student to gain access to these areas. This then as the name suggests, is where we shall place resources for our staff and students that shall in turn free up space on the main site. This site shall be constantly updated as more resources and helpful aids such as various versions of the Bible in a variety of languages to download for your own use which is now available. We have also added a link to allow you to access an Audio Bible in your chosen version. We have added over 400 Bibles in pdf format in many languages and dialects that we have found in the public domain. We have also added a number of Bible Commentaries for your use, as well other PDF files such as Easton's Bible Dictionary, Strongs Exhaustive Concordance as well as Pilgrim's Progress, Bible promises and other files. It is our intention to acquire for your use as many Christian documents and Classics as can be found in the public domain to enhance your knowledge and understanding of who YOU are in Christ Jesus. Our Institute Motto is found on the National Coat of Arms of Scotland, as well as many Scottish Regiments past and present. 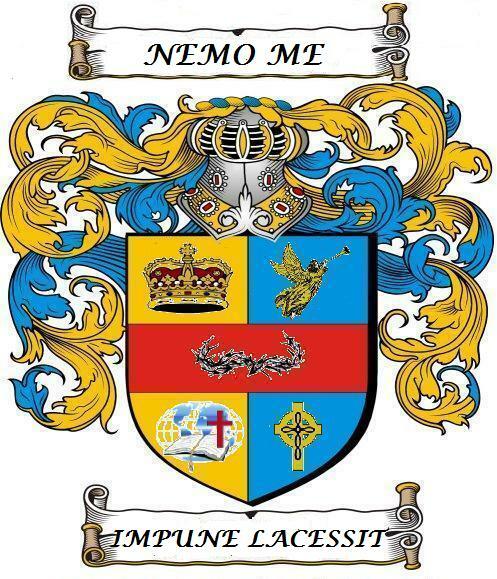 As we are The Remnant Church, and therefore part of David's Misfit Army it seemed appropriate for us to adopt the same Motto which is Latin for "Touch me not with impunity".